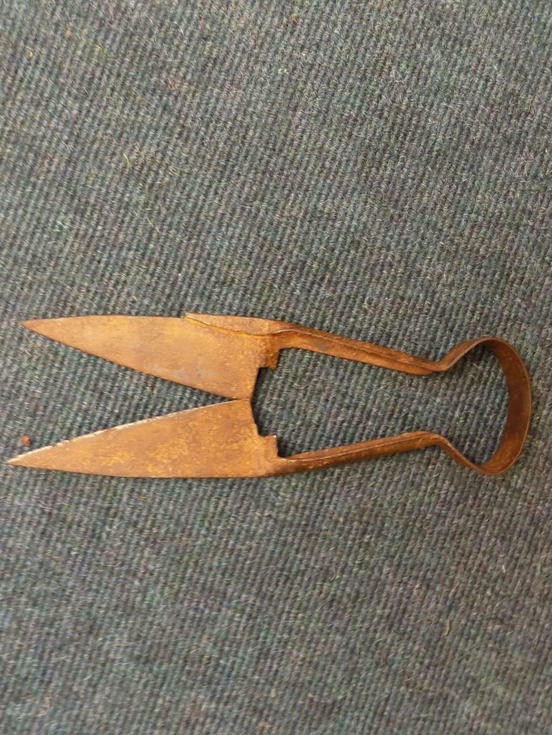 Metal sheep shears found by a metal dectector at Earls Cross, Dornoch. The shears are of the spring type made from a single piece of metal (spring steel), folded and shaped. This design has lasted to the pesent day and the shears are made to various sizes.